1. 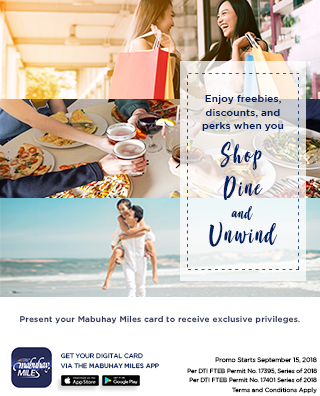 Customers must present their Mabuhay Miles membership card (Physical or Digital Version, Mabuhay Miles Travel Card, PNB Mabuhay Miles Credit Card) together with a valid ID to get 20% off on selected medical and non-medical services. 4. Discount is applicable to cash and straight credit card payment transactions only. 5. Discount does not apply in conjunction with other promotions and discount offers as well as Senior Citizen or PWD discounts. Per DTI-FTEB Permit No. 5590, Series of 2019.